The Studio G is designed to fit seamlessly and stylishly into any living space. 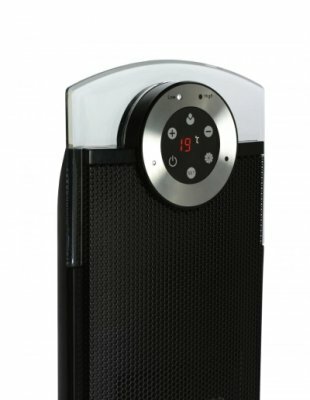 The speaker-style heat tower and smoked-glass base provide both a contemporary and sophisticated look, which is complimented by the LED display and touch panel or full remote control operation of the run back timer, heat settings and oscillation feature. With a 76 Oscillation feature the Studio G delivers a fast, even heat across a room and with the digital thermostat can be economically set to maintain your desired temperature. 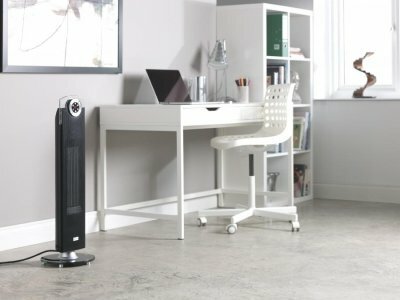 Why choose Studio G ceramic fan heaters? Not had heater long enough to know how good it will be for my specific requirements. Temp and time controls not easiest to to set or fully understand, but that may purely down to how instructions are written. Will have to wait until colder weather comes in and heater is being used on daily basis. Very quick delivery, my heater arrived within 2 days. 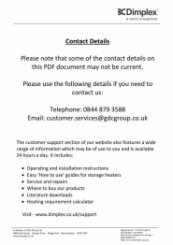 Thank you for the feedback and we are pleased that the delivery was so efficient for you.